Towards the end of October 2012 I boarded a flight to Sydney on the first leg of a journey to Papua New Guinea, where I was to give a presentation about public authoring and the Shareables we have created over the past dozen and more years. Through my friend, the anthropologist James Leach, I had been invited to participate in a symposium at the University of Goroka in PNG’s Eastern Highlands to share my thoughts and experiences of using hybrid tools and technologies with different communities to record and share their knowledge, stories and experiences – a process we have called public authoring since developing our Urban Tapestries project back in 2003. I first got to know James at the University of Cambridge at a symposium he, Lee Wilson and Robin Boast co-organised for CRASSH where I was an invited speaker. 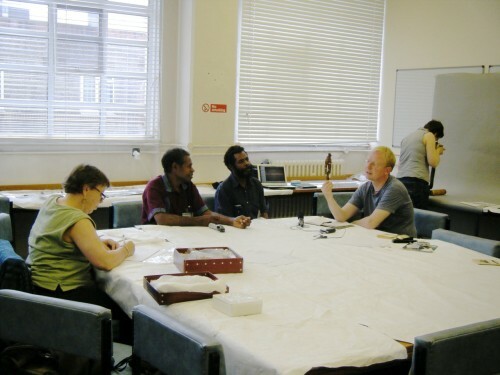 We then began collaborating in 2009 when two Reite villagers, Porer Nombo and Pinbin Sisau, came to the UK to participate in a project at the British Museum Ethnography Department. 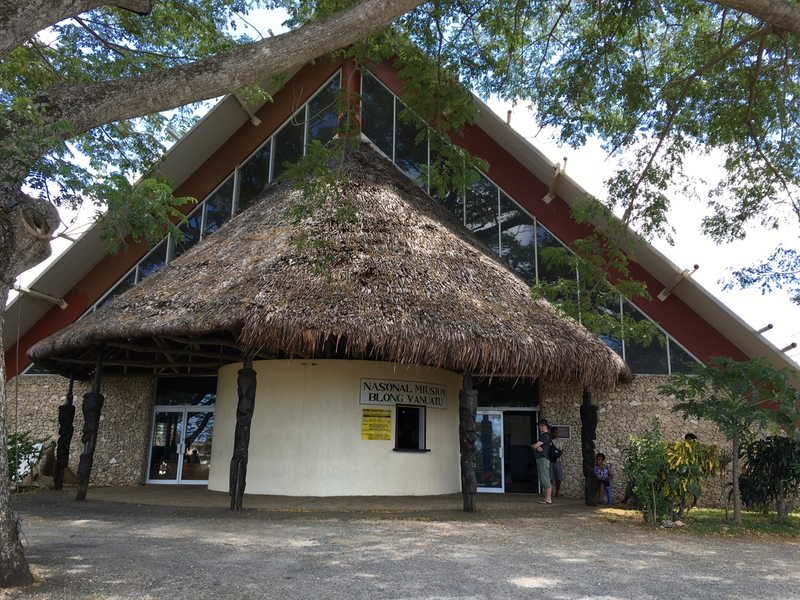 Porer and Pinbin were invited to help identify hundreds of objects from the Rai Coast area of PNG that the BM has in its collections, but about which very little was known. In addition to the audio recording and photography of the objects, James wanted to capture something about the process of encountering and engaging with the objects; he turned to me to explore using the Diffusion Notebooks format we had previously discussed. 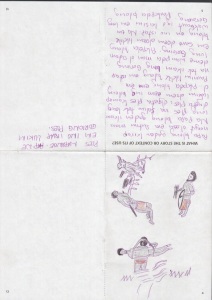 Over the week or so of Porer and Pinbin’s visit to the BM Ethnographic Store in an east London warehouse several notebooks were made and shared online (these are also browsable on bookleteer and downloadable – Melanesia Project Notebooks). 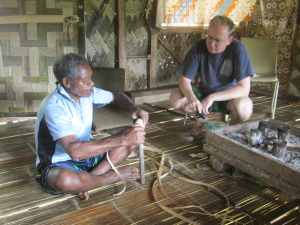 This small project was a personal turning point in several ways and when the opportunity came to visit PNG and to travel to Reite village itself with James I had no hesitation in accepting. 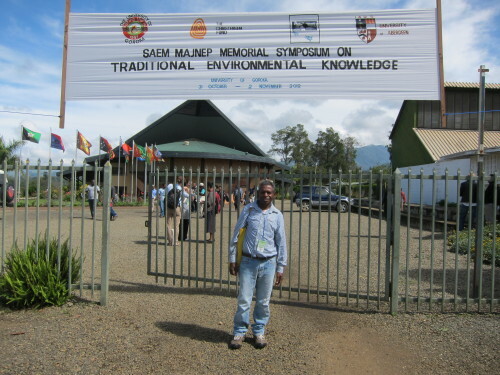 The Saem Majnep Memorial Symposium on Traditional Environmental Knowledge took place from October 31st to 2nd November and featured both local as well as international researchers. James and Porer Nombo presented their book, Reite Plants, as a potential model for sharing local traditional knowledge. I gave a presentation about how we have used the Diffusion eBook format and bookleteer in our work with different communities to record and share their stories, experiences and other things that they value. Prior to visiting PNG James and I had spent a few days discussing and sketching up some possible notebooks to take to Reite village. I had also researched a waterproof paper stock that could both be printed on and written on using universally available pens (such as biro and also Sharpie pens) – which was crucial in the hot and humid climate of PNG where ordinary paper is highly susceptible to mould, damp and disintegration. Taking a small amount of this paper with me, and some test printed waterproof eNotebooks, we made our way via Madang to Reite village. 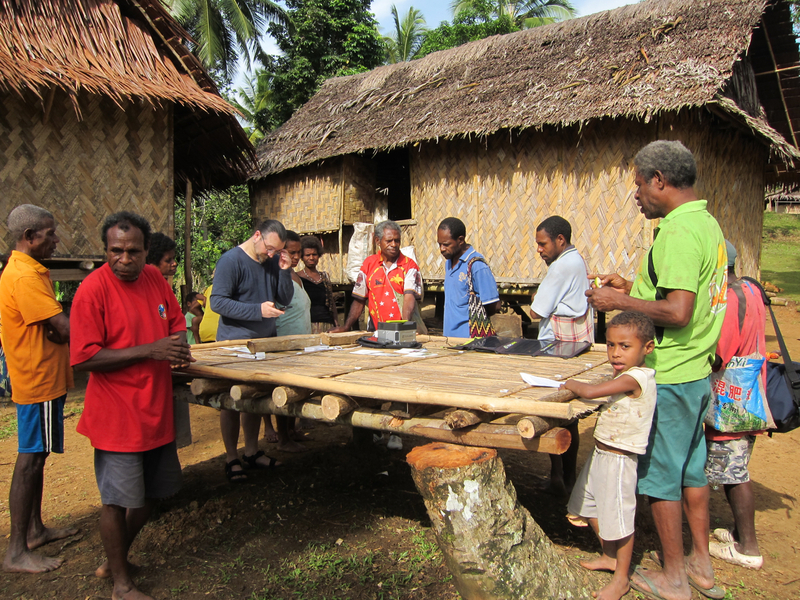 Once in the village, we realised that the sketches for notebooks that we had planned before were not quite right and that there was a unique opportunity to co-design a simpler approach that reflected local sensitivities to knowledge sharing. Working with Porer and Pinbin again, we devised a new formulation for the wording of the notebooks about the kind of subject matter we would be asking participants to record and share, as well as the provenance of their knowledge. 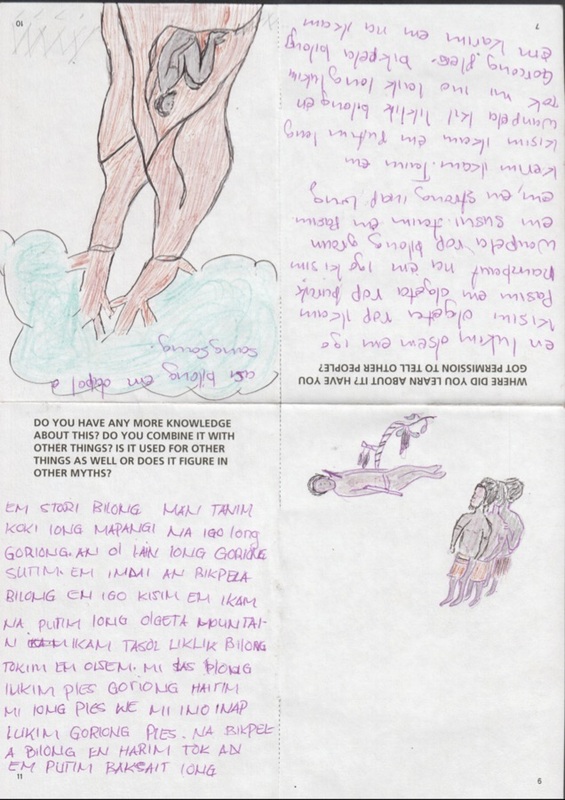 A key ingredient was the informed consent statement that appears on the front cover of each notebook below the space for the participant’s photograph, which was printed and stuck on using a Polaroid PoGo printer, and beneath which each participant wrote their name after reading and agreeing. 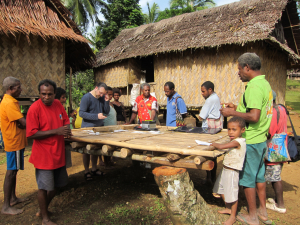 Having just a limited supply of materials I was able to create 16 notebooks – far less than the number of people who wanted to take part – which were all handmade and written out in the village itself. 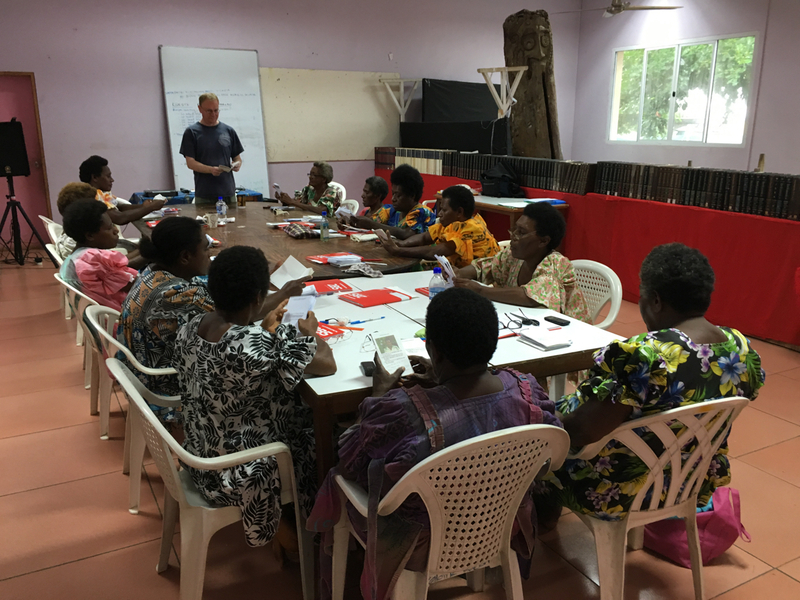 At a morning meeting, the aims of the project were explained to the participants by Porer and James whilst I took their photos and printed them out to stick on the cover of their notebooks. As a simple pilot, we asked the participants to write about just one thing in their environment about which they had specific knowledge – knowledge that was their’s to share (i.e. 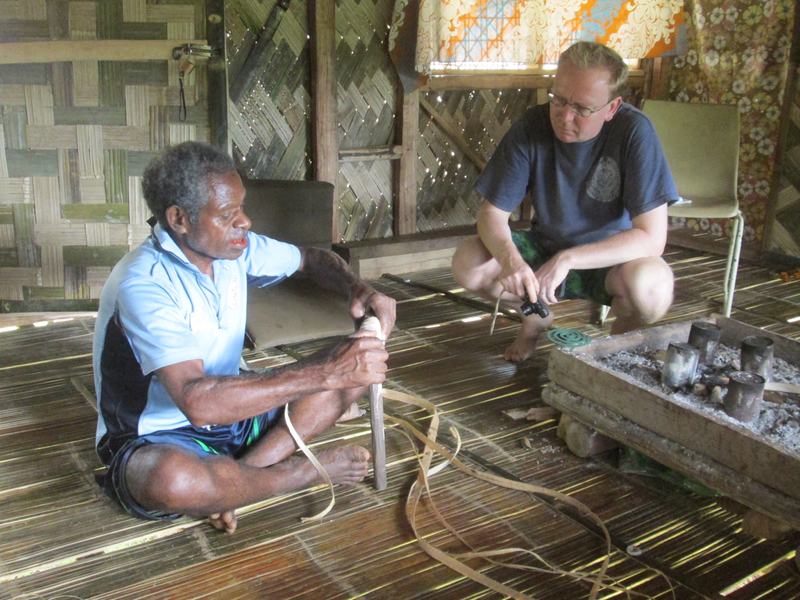 not taboo or magical knowledge, hap tok in Tok Pisin). It was important that everyone taking part understood exactly what we were doing and why – that this was intended and an experiment to explore new ways for their community to record what they know and to be able to pass in on to their descendants as well as to share with others. 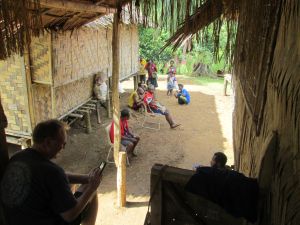 By the end of our week in the village all 16 notebooks had been returned, filled with stories, drawings and information – the first time I have had a 100% return rate in any participation project! Disassembling each of the notebooks back into flat sheets, I used a cheap portable hand scanner to create our very first digital versions of the notebooks, which were saved as multi-page PDF files for immediate sharing. Once back in our London studio I was able to take more accurate scans on a desktop scanner, but the use of the portable scanner to capture and immediately share (via SD card) digital versions of the notebooks was another useful demonstration of the simplicity of the whole process for sharing in the field without access to mains electricity and the usual infrastructure required for file sharing. 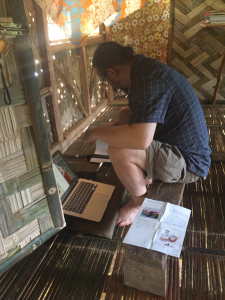 James provided some English translations to the notebooks, which we then incorporated into new versions made and shared on bookleteer – all of which can be browsed online or downloaded as A4 PDFs for making into handmade books in this collection – Reite and Sarangama Notebooks. We also combined the 16 notebooks into three larger bookleteer books grouped together according to subject matter accompanied by a book written by us (in both Tok Pisin and English) browsable or downloadable (as A3 PDFs) in the collection – TEK Pilot 1. Two of these books were recently printed in a small run using bookleteer’s Short Run printing service and sent out to subscribers of the Periodical – read about them here. 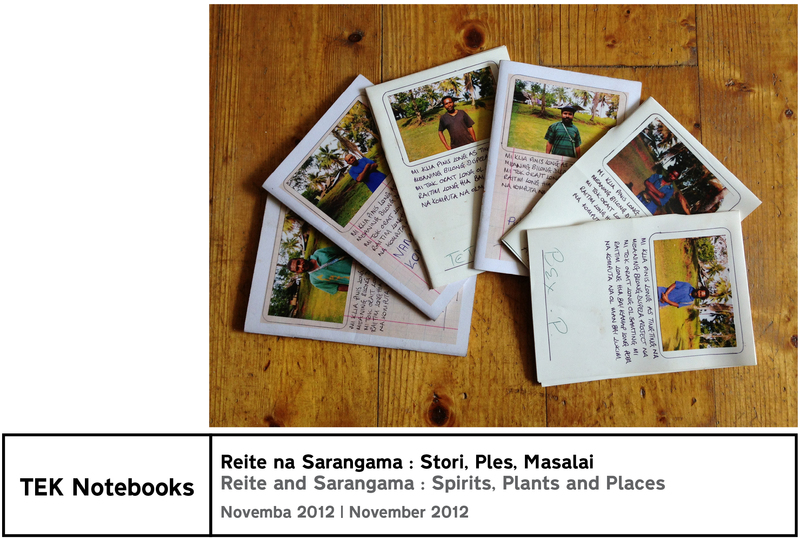 We are sending handmade versions of all the books and notebooks back to the participants in Reite and Saragama villages, laser printed on another waterproof paper stock for durability. 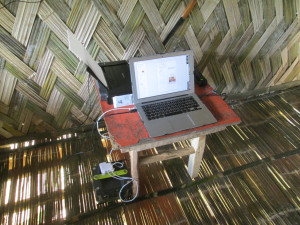 Our longer terms aims are to expand this process for simple tools and techniques for recording and sharing local traditional cultural and ecological knowledge into a toolkit that could be used in different contexts and situations, and which is, as far as possible, technology agnostic. 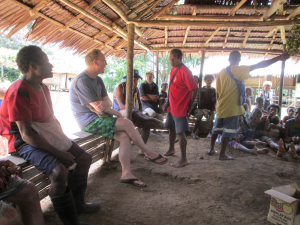 To do this we plan to return to Reite in 2014 to continue our co-design and collaboration with the villagers there, and to then devise a basic toolkit which can be shared with other people and communities in PNG, then potentially further afield. I would love to hear from others working with traditional or remote communities who’d like to share ideas and perhaps experiment with the process and tools we’ve developed so far. 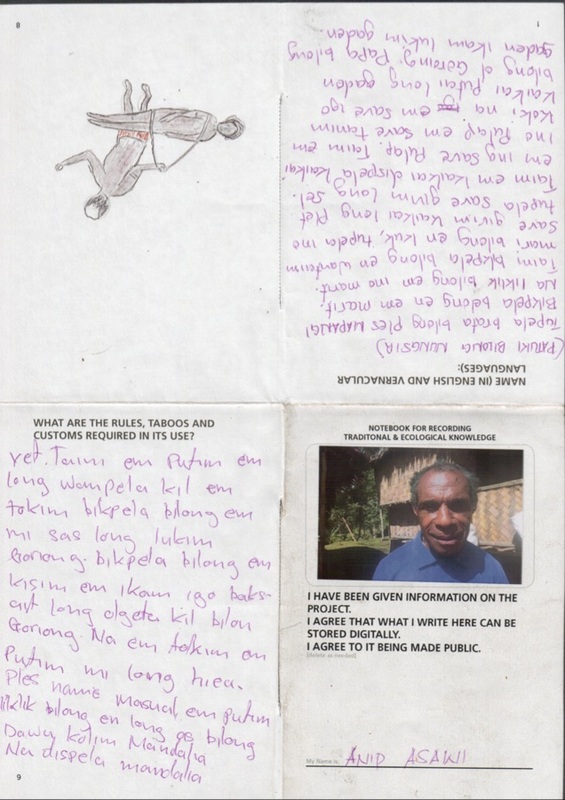 On the trip to PNG I kept a diary of my experiences for my then 8 year old daughter, which I digitised using bookleteer. 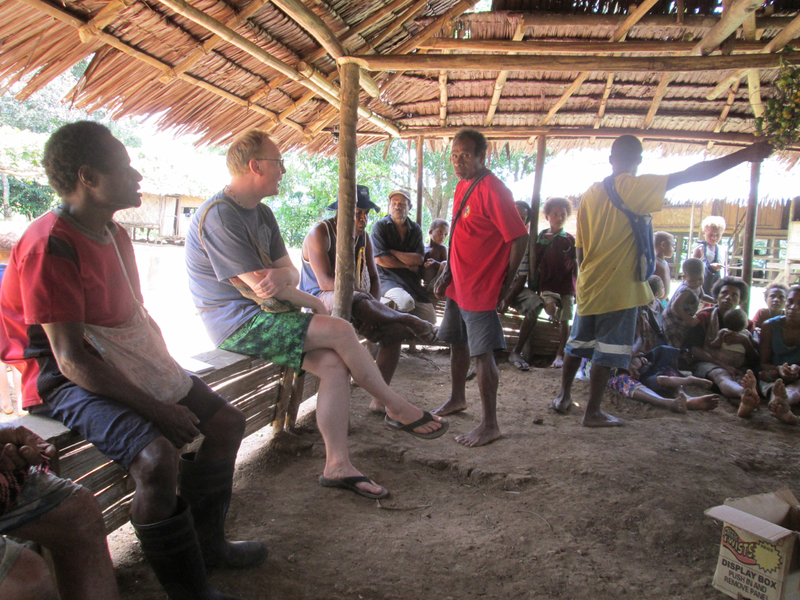 It is personal and written with her in mind, yet it is probably the best way to communicate some of the intense experiences I had in the village – with a culture and society that is so very different to my own yet offered so much to me in generosity of welcome, food, gifts and in spirit.